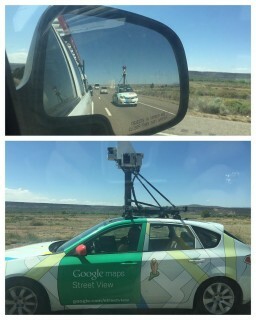 As seen coming from Santa Fe, the Google Street View car! We also saw them in Santa Fe too! Briana and I saw one in Lake Charles about a year ago.